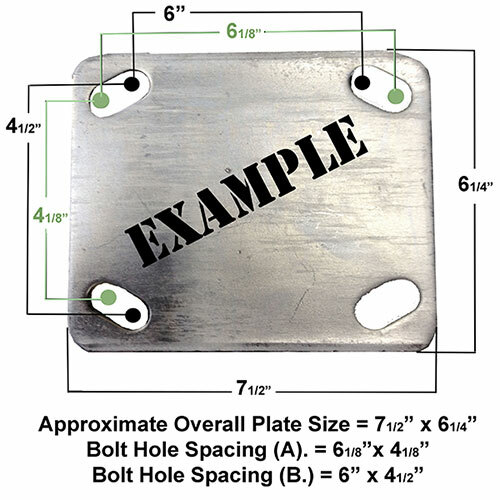 Mounting Height: Measure from the bottom of the wheel to top of the mounting point. 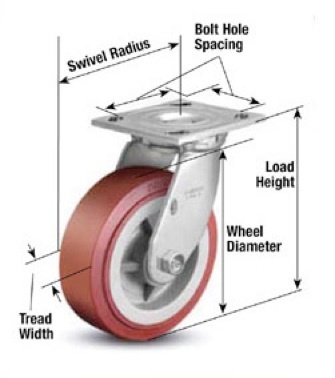 Swivel Radius: Measure the center of the mounting point, (axis), to the outer most point of the wheel. Tread Width: Measure the overall width of the of the wheel. Wheel Diameter: Measure the overall height of the wheel from top to bottom. Gauge: There are several style of stems. (should be a snug fit). of wrenches, for instance take a 7/16”. it on the stem, it should be a snug fit. Always measure the thickest area. from the top of the stem to the base plate.